Physical touch can strengthen our emotional bonds with other people, but it’s easy to cross the line and come off as a touchy-feely creep. Luckily, a recent study published in the Proceedings of the National Academy of Sciences has defined our unspoken social conventions. 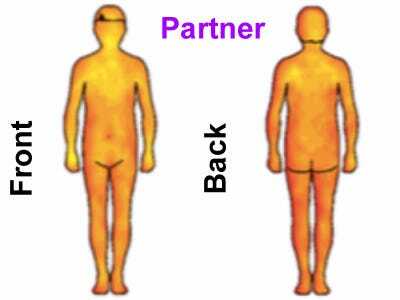 The study surveyed 1,368 people and found that the closer a person feels to someone, the more likely they’d feel comfortable being touched on a larger area of their bodies. Scroll down to see where and by whom the respondents drew the lines — quite literally — of a touch being OK or downright weird. Researchers asked 1,368 people from Finland, France, Italy, Russia, and the United Kingdom to colour in a human outline to show where they didn't mind being touched by different relations. Then the scientists averaged all the drawings. White and yellow areas indicate a comfortable area to touch, while red and dark red areas indicate discomfort. Female respondents, on average, were pretty open to having their partner touch them. 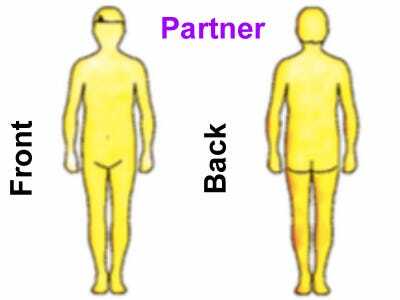 Men felt more averse to being touched by their partners -- but not by much -- and no specific areas of their bodies were off limits. Women also seemed pretty comfortable being touched by female friends, even on their faces. 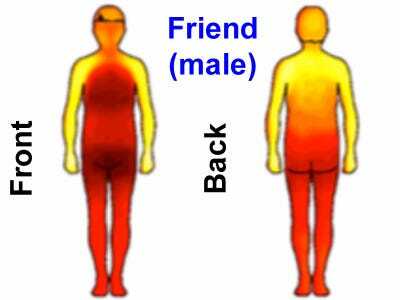 Female respondents also didn't seem to mind being touched by their male friends. Whereas men only felt comfortable touching hands with their male buddies. Even then, some men thought that would be uncomfortable. 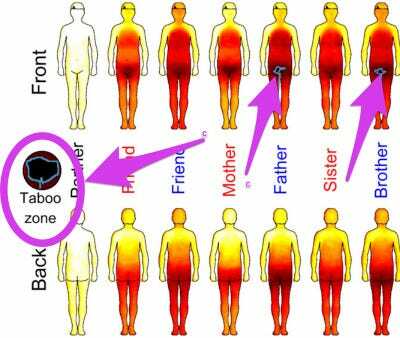 A cross-cultural 'taboo zone' makes its first appearance on the crotch. The stronger the emotional bond with a person, the more comfortable respondents were with being touched. 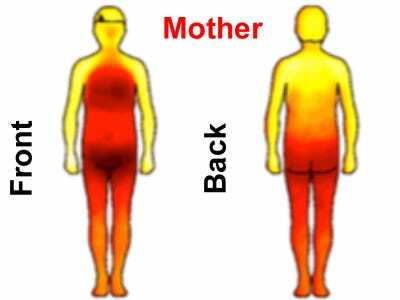 For example, women seemed about as comfortable being touched by their mother as their female friends. Men on the other hand, weren't as warm to the idea of mum's touch. And women were uncomfortable with dad touching most places except their arms, upper back, and shoulders. Similar to a male friend, men gave dad a semi-cold shoulder. Touching was mostly limited to the hands. 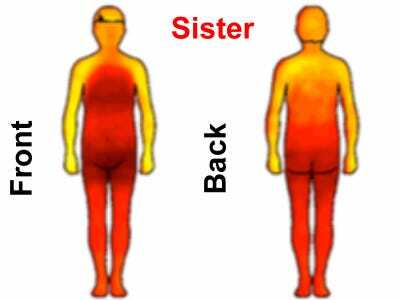 Sisters could touch female participants in roughly the same areas as mum. This might be because of how close they are to their mothers and other women. 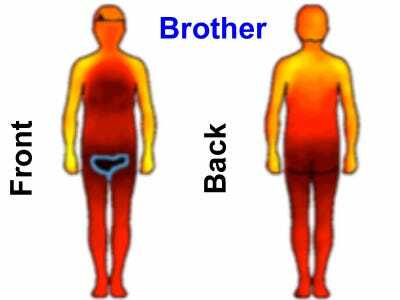 Although male participants were more uncomfortable being touched by their sisters than other women, both sexes reported less discomfort overall when being touched by women. The women surveyed had a definite taboo region for their brothers, which didn't exist with their sisters. The men surveyed were uncomfortable being touched by brothers anywhere but on their hands, arms, and shoulders. The study also looked at distant relatives. Female comfort being touched by female friends and relatives starts to fade at this point. Men, in keeping with the trend, weren't as open to their aunt's touch. This varied from country to country, but overall, the study reported that the country most averse to touching was the United Kingdom. 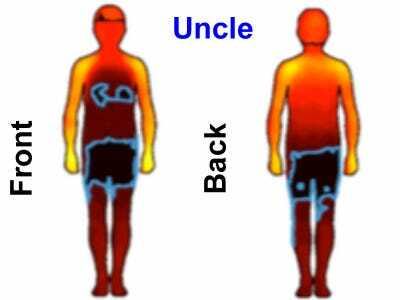 The average female respondent indicated she'd be uncomfortable being touched anywhere by her uncle except the shoulders, arms, and hands. Men were about the same, although some even reported discomfort touching hands. A woman's level of comfort being touched by a female cousin was about the same as it was with an aunt. Men remained quite uncomfortable by any physical contact, including any by female cousins. Once again, women remain wary of being touched by men, such as a male cousin. But nothing like men, who seem uncomfortable with most physical contact by a male cousin. 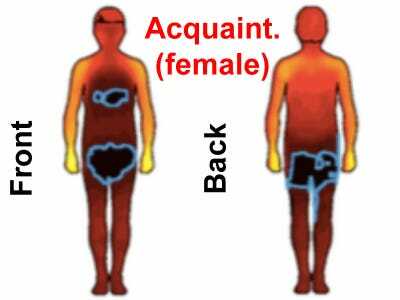 Acquaintances and strangers is where women began limiting comfortable contact to their hands. The study didn't specify what acquaintances were, so it could be a casual date, a work colleague, or a distant friend. Things also start to diverge for male respondents, who reported discomfort with being touched by most anyone else. Surprisingly, the average man has no taboo zones for female acquaintances. The female respondents felt some discomfort being touched by their male acquaintances anywhere but their hands, but surprisingly no taboo region over the chest showed up. 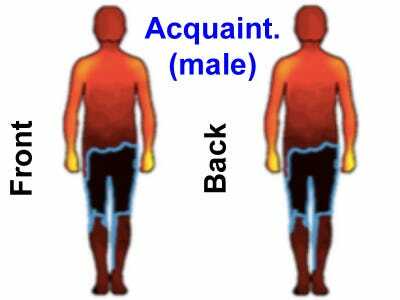 The male respondents reported discomfort being touched anywhere by male acquaintances but their hands. The idea of a female stranger's touch on the chest, thighs, and buttocks made all women report total discomfort. 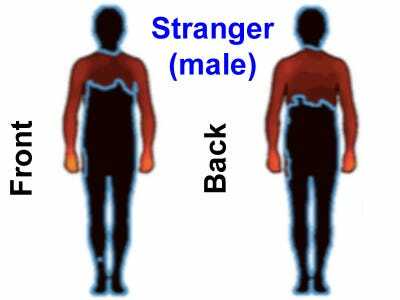 Once again, the men were quite open to being touched by female strangers, with no specific taboo region being identified. 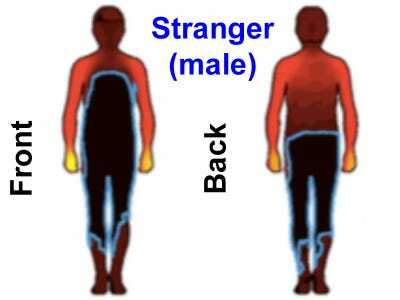 But male strangers are pretty much limited to hands, the female participants reported. All contact with the torso and legs are completely off limits. The same goes for men, who remain even more closed off to male strangers, not allowing them to touch the torso, legs, or feet. The head was a big no-no, too.